to increase extension in the lower and upper back. Apart from stretching the calf and upper-leg muscles, the incline board is a fantastic device to improve general posture and extension in the lower back. Made of a composite plastic rated over 250kg. 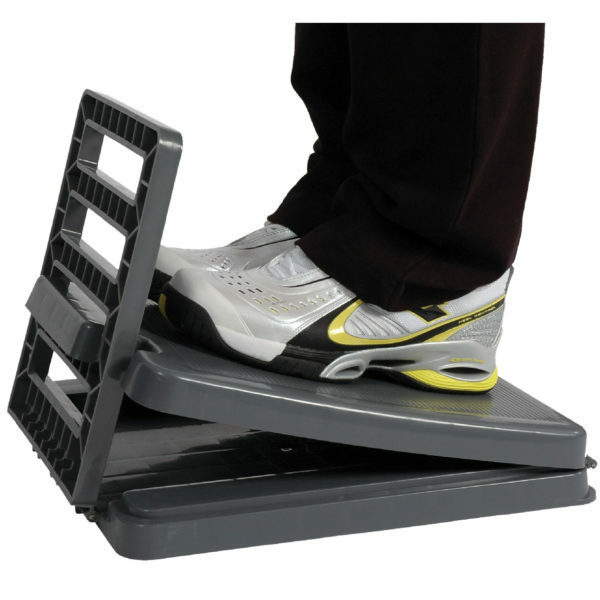 Adjusts to 4 levels and folds flat (8cm) to store easily. Angles are 5°, 15°, 25° and 35°. The last slot on the board makes an excellent hand-hold for stretching. Non-slip top measures 35×35 cm. Check our range of Incline Boards here.